We are at the portal of what systems scientist Béla Bánáthy called the “fourth generation” humans. What distinguishes this fourth generation from its predecessors is evolutionary consciousness, according to Bánáthy, a professor emeritus at Saybrook University until his death in 2003. Bánáthy defined evolutionary consciousness as the knowledge and awareness of how we get to a point in our human history from the perspectives of our consciousness, our cognition, and our social systems. We are the first generation of humans that have access to concrete information regarding the human trajectory and the knowledge of where this trajectory can lead unless we decide to consciously participate in the evolution of our planet. To make this concept clear, we need to start with the first three human generations identified by Bánáthy and other social scientists. The first generation of modern humans—the Cro-Magnon—is only 50,000 years old. The Cro-Magnons were the first humans to develop self-awareness. Their predecessors—humanoids, early homo-sapiens, and Neanderthals—did not have a consciousness distinct from their environment. During the seven million years that the humanoid form graced this Earth, consciousness was a dreamlike state that was undifferentiated from nature. These people lived in oneness with their environment and with others. This state of consciousness changed when the homo-sapiens-sapiens, or the Cro-Magnon, burst into the evolutionary scene. This final form of human woke up from its dreamlike state and acquired self-identify. One interesting fact about the Cro-Magnons is that they were the first humans to have fully developed speech apparatus and were capable of complex communication. Cro-Magnons lived in tribes and manufactured a number of tools, primarily for hunting. It took another 25,000 years or so for them to develop into the second generation of humans with the advent of agriculture. This second generation is responsible for building our ancient civilizations from Mesopotamia, to Greece, to Egypt, and to Rome. Consciousness in this second generation evolved from magical to mythical. This generation was also capable of reflection and became emotionally-based. These humans focused on the future. Spiritually, they were earth-centered. Mother Earth was of fundamental importance to this generation because of the dependency on what the earth could produce to sustain living. Writing developed in the timeframe of the second generation of humans which lasted from 10,000 B.C. to 1,500 A.D. The technology of this generation was based on metals and what was needed for agriculture. The third generation of humans entered the scene at the end of the Middle Ages. It was the Renaissance that gave birth to our current human generation. The Industrial Revolution was the backdrop for the evolutionary journey of this third type of modern human. Its consciousness shifted from mythical to rational; this generation also carried reflective properties, but became mentally-based. Communication expanded by way of the printed word and later into various electronic forms. Nation states became the social structures for third-generation humans and technological development exploded into a multitude of directions. The third-generation human gained—for the first time—control of life. Its predecessors did not have the knowledge and technology to control much of anything. They were subject to the natural forces, including illnesses like the black plague. Looking at life in the universe with very broad strokes, we can say that life started as energy—the Big Bang—then it became matter, and later life emerged. Third generation humans have done an outstanding job at controlling energy, mastering matter, and meddling with life itself. Now as we move toward the fourth generation, we are a human race that have become co-creators with nature—a title that carries tremendous implications and responsibilities. The challenge that Bánáthy saw is that we, third-generation humans are not accepting our responsibility of co-creation. Instead, we continue exploiting energy, matter, and life for personal benefit. This is where the fourth generation human is needed—to assume the role of co-creator and guide the evolution of our planet to a level of life-affirming actions that benefit the whole. 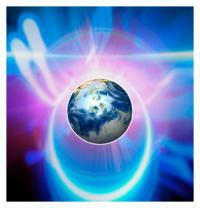 Bánáthy stated that we are at the threshold of the emergence of our next evolutionary event. This event, he said, is marked by “conscious evolution, the self-guided emergence of the fourth generation of homo-sapiens-sapiens.” The social scientist specified a number of markers that point to this threshold based on the evolutionary events that have preceded our three generations of humans. d) The driving role of creativity. It is Csikszentmihalyi who taught us that, in order for us to engage in the task of directed evolution, we need to first attain a genuine understanding of evolution itself. This is something that Banathy also maintained. Duane Elgin, an American author, believes that conscious evolution brings the era of reconciliation. In his book, Awakening Earth, Elgin defines a number of reconciliations that we third generation and emerging fourth generation humans need to settle. They include spiritual, racial, ethnic, gender, ecological, generational, and economic reconciliations. I personally believe that we are in dire need of conscious evolution. Turning on any news channel gives us nothing but a view that our third generation brethren can quite easily make that generation the last in this planet. Seven million years of nature trying out different models of us humans have led to our present generation, quite capable of destroying the marvel of our creation. It behooves us all to take on the role of co-creators embracing our powers and responsibilities to bring forth a future that we want where the fourth generation human can emerge in harmony with all of nature and in balance with ourselves and every form of life on this planet. In her most recent post, Evolutionary Leadership: The Embodiment of Systems Being, Kathia Laszlo—a professor of organizational systems at Saybrook University who studied evolutionary theory under Bánáthy at Saybrook—tells us that “evolutionary leadership is a means for each one of us to understand that we have a role to play in the creation of a better world no matter what our field, interests, or expertise.” This is the type of conscious evolution that will herald Bánáthy’s fourth generation human and the future of life in our planet.